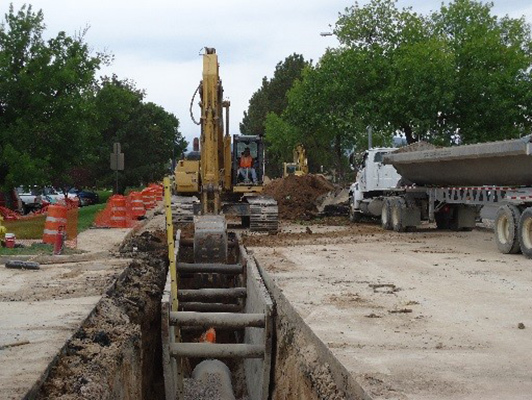 LS Gallegos provided the City of Fort Collins with Construction Management (CM) Services for this project as a subconsultant to CH2M. The MAX BRT Project was the first BRT project for the City of Fort Collins. The project contained three main components: the Mason Corridor, the South Transit Center, and the Maintenance Facility Expansion. The Mason Corridor consisted of an exclusive guideway for 2.8-miles, with the remaining 2.2-miles intermixed with street traffic on portions of McClelland Drive and Mason Street. Additionally, there were two bridge structures and multiple retaining walls along the MAX BRT route as part of this project. Components of the Mason Corridor portion of the project included: signing and striping, intersection improvements, various utility improvements, 13 stations and stop locations, landscaping, irrigation, traffic control, and guardrail installation. LS Gallegos provided Construction Management Services which included: Field Inspection during the construction phase and Project Closeout Support.